It has been the performance of the year, for sure. 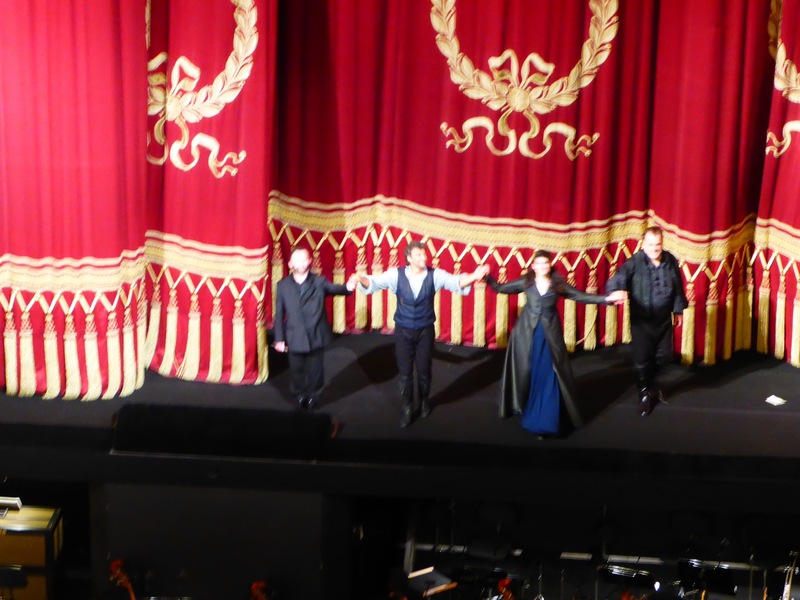 And it seems that not only me, but dozens of other opera lovers were mesmerized by this particular performance and did not let it go – at least judging by numbers of fans at the stage door, and the most patient ones I have left behind who did not give up the hope for Anja Harteros to appear even more than an hour after Jonas and Bryn left to catch the last minutes of the football game between Wales and Belgium (Bryn was elated when news of 2:1 came in). What can I tell? Kirill Petrenko was divine, he created high intensity, vivacious and emotional reading of the score like anew, and the orchestra responded to each smallest hint from the pit. 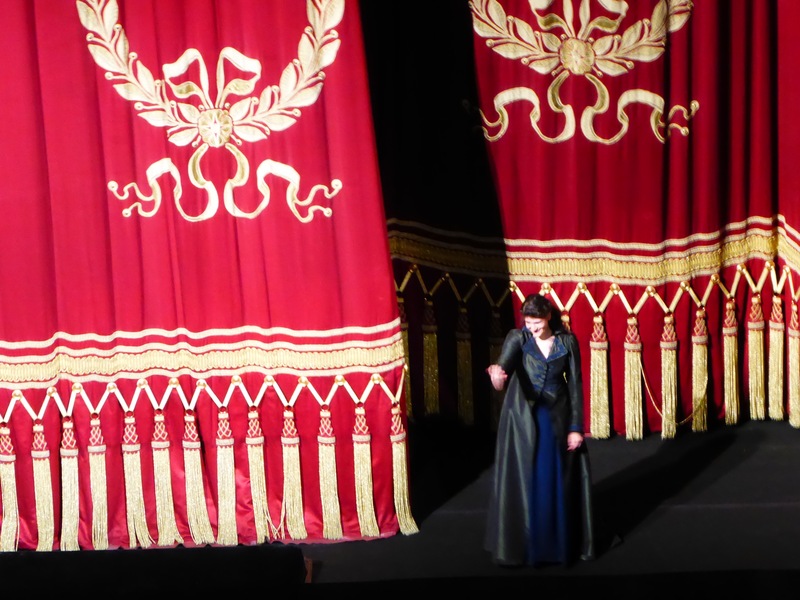 No stops mid- act, no chance for audience intrusion – and that makes a crucial difference to typical sing-stop-clap-resume order in most performances. The audience was breathless throughout the show and even afterwards. For me personally, the effect was badly trembling hands, which caused more that fuzzy curtain call pics. 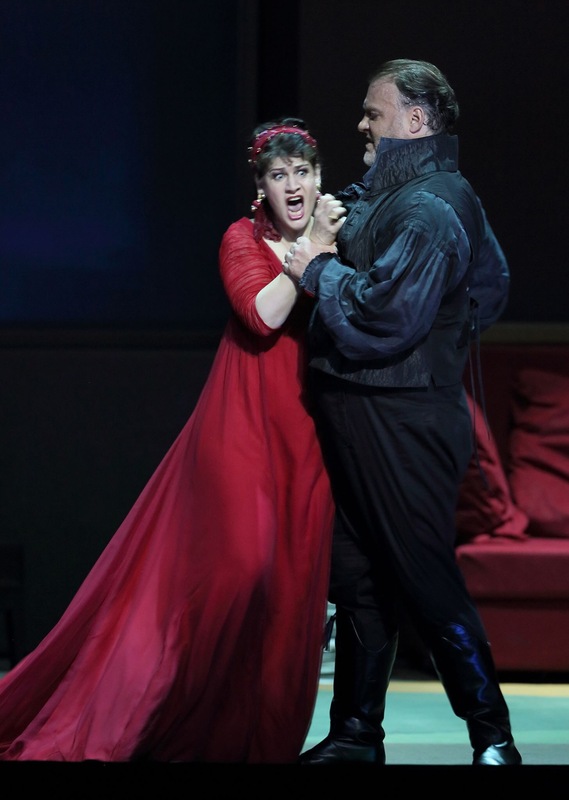 Jonas was superb Cavaradossi, even more impressive was Scarpia of the night – Bryn Terfel IS Scarpia impersonation on the stage. 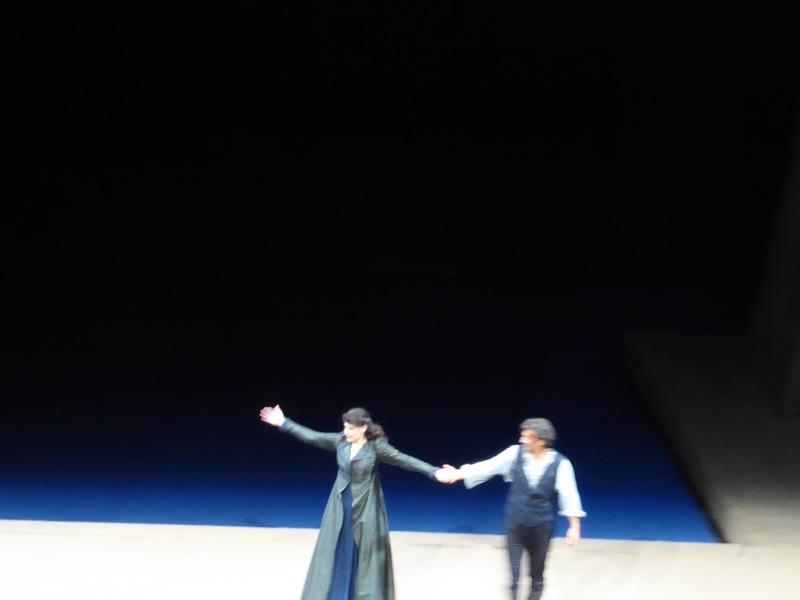 Anja Harteros played convincing diva, breathtaking acting in the murder scene, and jumping from the ledge took away breath from most of the audience (even if us, sitting close to the roof could see that danger is of controlled scale). My small victory is double autographs from both Jonas and Bryn – on production photos and programme as well. Not much more to report, still under the impression of the performance. Unfortunately, my patience run out, did not get Anja’s autograph. The only lesson for next year – plan opera festival performance tickets to finish with the most impressive show, instead of living under that impression for the whole week.